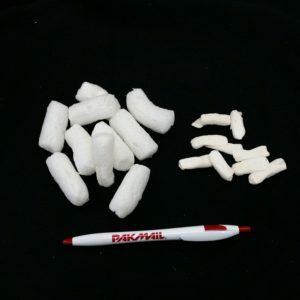 Pak Mail accepts clean packing supplies — packing peanuts, Styrofoam, bubble wrap, paper — for recycling. We recently received a small box of cornstarch peanuts. Since they break down with moisture, they are great for the environment. For the same reason, these peanuts are not so great for packing fragile china for small-package shipping with UPS, FedEx, DHL, and USPS. We mix our recycled cornstarch peanuts with foam peanuts to make sure items are protected throughout the shipping process. All items are bagged to prevent dissolving cornstarch peanuts from sticking to them. Check out the picture of cornstarch peanuts. The ten on the left are still whole; the ten on the right started to dissolve from moisture and compact into tiny flat “rocks.” Any questions? Cornstarch peanuts dissolve with moisture. Our regular customers enjoy seeing our shipping challenges and express disappointment when the front lobby is empty. Luckily, that’s a rare occurrence. This week was a mix of Goodwill auction, estate (the clock), basketball tournament, USAFA, online returns, small business, and gift shipping. Some items ship as small packages with UPS, FedEx, DHL, and USPS; some require a pallet and ship with LTL freight carriers. We never know what will come through the front door next! It keeps our regulars entertained. Pak Mail offers services with FedEx, UPS, DHL, USPS postal, and large freight carriers. Pak Mail is open President’s Day, February 19. UPS, FedEx, DHL and freight carriers are following normal hours for delivery and pickup. The Post Office (USPS) is closed. There is no mail pickup or delivery at Pak Mail on President’s Day. Thank you to our customers – both “old” and new – as we continue to thrive. Our 2017 was a year of growth and change. Customers can attest to the number of large freight shipments we did in 2017. It’s amazing the shipping challenges that come through our front door. 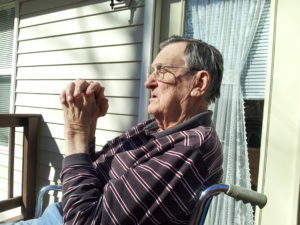 My Dad quietly left this world in March saying, “I’m ready to fly.” His gentle entrepreneurial spirit lives on. Jesse completed an 18-month course in medical equipment technology in August. 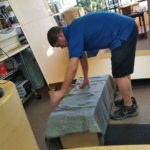 He moved on to a full-time position repairing high-tech equipment. He continues to work part-time at Pak Mail on most Saturdays and a few afternoons. Stop by and meet our new employee Shane – not related, but treated like family. Albertsons became Safeway. Pak Mail is still two doors north and has been since 1996. Ten years of ownership is fast approaching at the end of February. We appreciate our customers! Pak Mail ships small packages and documents with UPS, FedEx, DHL, or USPS; rents private mailboxes for personal and business use; builds custom boxes, crates, and pallets; packs and ships large items with LTL, air, and ocean freight carriers; and provides basic office services. Pak Mail recommends shipping gifts early in the month to ensure on-time holiday delivery by Friday, December 22. The carriers (USPS, UPS, FedEx, DHL) post holiday schedules. The following cut-off dates are based on these schedules and our holiday shipping experience. Pak Mail includes additional time for potential delays due to inclement weather and increased package volume. 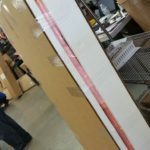 Ship to US Lower-48 UPS/FedEx 3-day on Monday, December 18. Ship to Hawaii/Alaska UPS/FedEx 2-day/overnight on Monday, December 18. Ship to US Lower-48 UPS/FedEx 2-day on Tuesday, December 19. Ship to US Lower-48 UPS/FedEx overnight on Wednesday, December 20. Address and phone number of the recipient (must be a physical address for UPS, FedEx, and DHL). Contents of the package (if already packed and sealed). Save time and let Pak Mail pack for you. When you would like the package to arrive. You will be asked if the package is safe to leave on the porch. Due to reports of porch theft this time of year, we recommend a delivery signature on most packages. 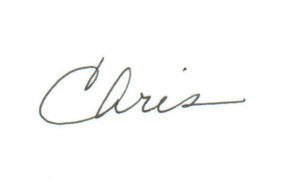 We can also ship to the recipient’s work address. Ship to Hawaii/Alaska UPS/FedEx Ground by Wednesday, December 13. Ship to US Lower-48 UPS/FedEx Ground by Thursday, December 14 (to Maine/northern New England), or Friday, December 15. December has three full weeks before the Christmas holiday. Hanukkah begins in the middle of the second week. Pak Mail recommends shipping gifts early in the month to ensure on-time holiday delivery by Friday, December 22. Ship Hanukkah gifts this week. Ship international gifts DHL/FedEx this week (recipient is responsible for duties and taxes). 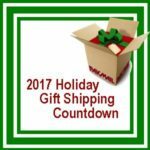 Ship APO/FPO/DPO packages USPS Priority Mail by Monday, December 4. Ship APO/FPO/DPO letters/cards USPS First Class by Monday, December 4. Pak Mail prepares items for packing and shipping based on several factors including fragility, value, and shipping method. Packaging prep for non-fragile items like clothing or soft toys is simple: place the items in a bag to keep them clean, then into the appropriate box for shipping with UPS, FedEx, DHL, USPS, or freight. Easy! 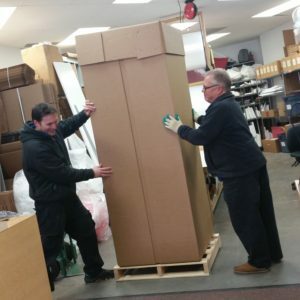 Packaging preparation for shipping other items is a little more complicated. The shipping method — freight on a pallet or small package — is the first consideration. 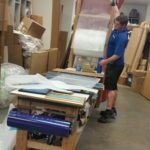 Freight on a pallet: Small pieces of framed artwork require glass mask, small bubble, and corrugated sandwiches. A small amount of cushioning material will keep them safe during transport. These pieces shipped with the furniture shown in #4. This same artwork shipped as a small package requires two inches of protection around all dimensions (large bubble and packing peanuts). 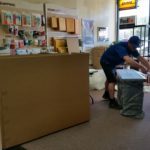 Small package with FedEx ground: High-value artwork needs soft foam on the plaster frame, acid-free paper on the painting, and Styro lining before being placed in a custom wooden crate. Freight on a pallet: Van conversion kits from Wayfarer Vans are wrapped in felt blankets and placed in custom corrugated boxes. 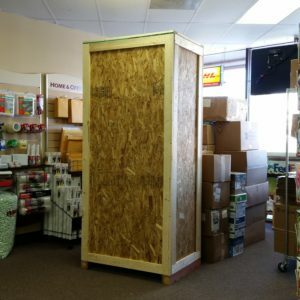 Freight on a pallet: Delicate furniture is wrapped in a felt blanket before placing in a Styro-lined box. 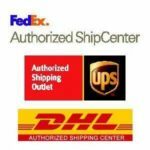 Pak Mail is the only shipping company conveniently located at the corner of Garden of the Gods Road and Centennial Boulevard that offers international shipping with all small-package carriers, including DHL. We also ship to countries outside the United States with UPS, FedEx, and USPS. 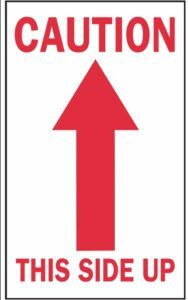 We recently had a discussion with a customer about shipping plants inside a box with “up” arrows. UPS, FedEx, DHL, USPS and other small-package carriers do not guarantee that a package will remain in the “up” position throughout its shipping journey. This is true of all small-package shipments. A package is handled multiple times before reaching its destination. There is no guarantee that a package will remain in its original “upright” position. The carrier sorting facilities employ conveyor belts. A question to ask: Can the contents of this package survive a 4-foot fall off a conveyor belt? At Pak Mail we ensure all items are properly packed based on fragility, value, and even sentimentality, so they arrive at their destination safely.